Derek and Isaac search for Erica and Boyd, and a new wolf pack arrives in town with its own menacing Alpha. A friend of Stiles vanishes while Lydia and Allison discover a hint as to the location of Boyd and Erica. Derek, Scott, and Issac track down Boyd and Cora with the help of Chris Argent to try to capture them before they hurt anyone. Meanwhile, Lydia finds a dead body and Stiles starts to put together a theory once he finds out it’s not the first. 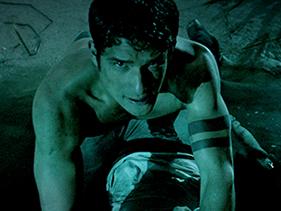 The battle between Derek’s pack and the Alpha pack brings about serious repercussions. Scott and the gang undergo strange experiences when they are stranded at a motel, causing them to believe members of their own group may be the mysterious killer’s newest targets. There are your super mini summaries of each episode thus far, just to give you a little refresher. Now that we have that out of the way, what are your thoughts on the season so far? Are you loving it? Hating it? What are your theories on what’s to come? Share in a comment below.